Home of the FREE clean & safety check! April is PEARL MONTH! Come in to get 20% off pearl strands & 10% off other pearl jewelry. Let us help you get ready to look great for wedding season! We love helping you create, design, and bring into existence a new and unique piece of jewelry. Whether it is bringing already manufactured elements together or creating a wax and casting it into gold, silver, or platinum, we can do it and have been creating & making pieces for years! Come in and design something today! Call or text (972) 910-0300. Whether it is time to ask that life-changing question or it is anniversary, Christmas, or birthday time, we have you covered. Come in and see our wide selection of engagement rings! We have rings that will fit any budget, and if we do not have the exact ring you like in house, we can either order one in or do a custom design. We are here to make your other half's dreams come true. We can make custom gifts happen even the day before you need it - though if you give us even more time, the sky is the limit. Come in and see how we can help you "WOW" for any celebration! Gold N Carats encourages you to check out our Google and Yelp reviews. You will soon see how many customers we've made happy & helped over our 34 years of being open! When an older family piece (or your wedding set that has not been checked in years) needs some TLC, we are the place to go! Our Master Bench Jeweler - the only retail one in Dallas County - has over 52 years of experience custom-making and repairing jewelry. If your piece needs an overhaul, come see how we can make it sparkle and wear like-new again. Additionally, sometimes one comes across pieces of jewelry that one just does not wear or are not exactly the desired style - but would love to be able to use bits and parts of it. We have your answer! Jewelry "recycling" is the process of taking an older or less-desired piece or style and transforming it into something you will love and wear. Have an older piece? Come brainstorm with us. And remember, cleaning & safety checking is FREE - even if it was not purchased here! Over our Master Bench Jeweler's 52+ years of designing and repair, he has entered unique pieces into various jewelry design competitions, many at the Texas Jeweler's Association annual conventions. With 10 design awards under our belt, we are always excited to enter more. These days, most of our custom jewelry does not reside in showcases, but rather on our dear customer's necks, wrists, ears, and fingers! Come in to see these lovely pieces in person - there is always a story behind each one! With over 3500 loose stones of all types, cuts, and colors, and access to the largest jewelry supply houses and manufacturers in the world, there are no limits on what we can design! We also provide other products and services so that we can best serve our customers! Jewelry Repair: chain repair, ring sizing, stone tightening & replacement, and more - we can fix what others shops say they cannot! FREE CLEAN & SAFETY CHECK: jewelry (other than watches) can be cleaned for free in our ultrason & steamed to release built-up dirt - then we check for loose stones and any other safety concerns and let you know - even if you did not purchase it from us! Jewelry Appraisals: our independent appraiser comes in twice a month to do formal appraisals for insurance purposes (needed every 3-4 years) - call for appointments! 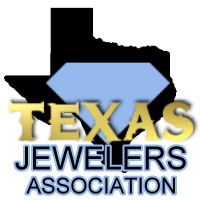 Certified Precious Metals Dealer: we are authorized in the state of Texas to purchase precious metals (and diamonds) and we can sell gold/silver/platinum bars & coins - call with questions!